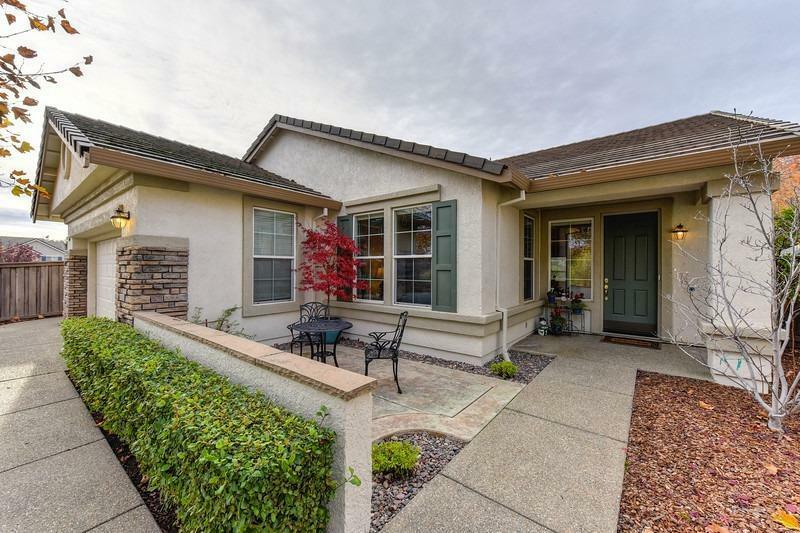 Wonderful single story tucked away on a private cul de sac lot facing the 15th hole of ER golf course. Beautifully appointed w/an open & spacious floor plan. Lite, bright & airy w/numerous windows providing views of the golf course & lovely yards. House is stunning w/a gourmet kitchen w/ corian countertops, newer SS appliances, eating bar & a pantry. Large master suite w/ walk in closet & separate tub. Pool sized rear yard w/a semi enclosed covered patio & an uncovered patio. Shows like a model.